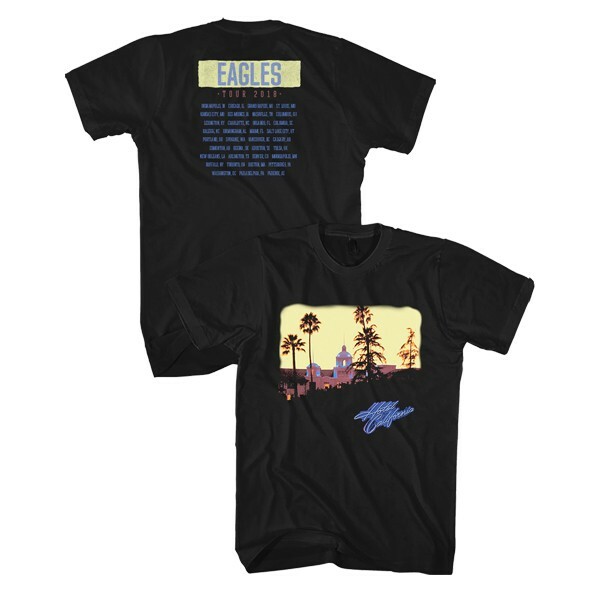 Black tee featuring Hotel California artwork on front and 2018 tour dates on back. Printed on Gildan brand. 100% cotton. Please note: Dates on back may vary.